Philadelphia’s food scene is burgeoning, impressive and offering so much more than simply Philly cheese steaks. However, just because the City of Brotherly Love offers a host of fine dining, that doesn’t mean all its best award-winning bites are a formal affair. From James Beard Award-winning chefs to local farm-to-table favorites to culinary treats stemming from the city’s multi-cultural heritage — there’s so many amazing dining experiences to be had while visiting Philadelphia. Picking just a few is difficult, but these five touch on the broad array of options that are at your fingertips. Do you recognize Moshulu from anywhere? 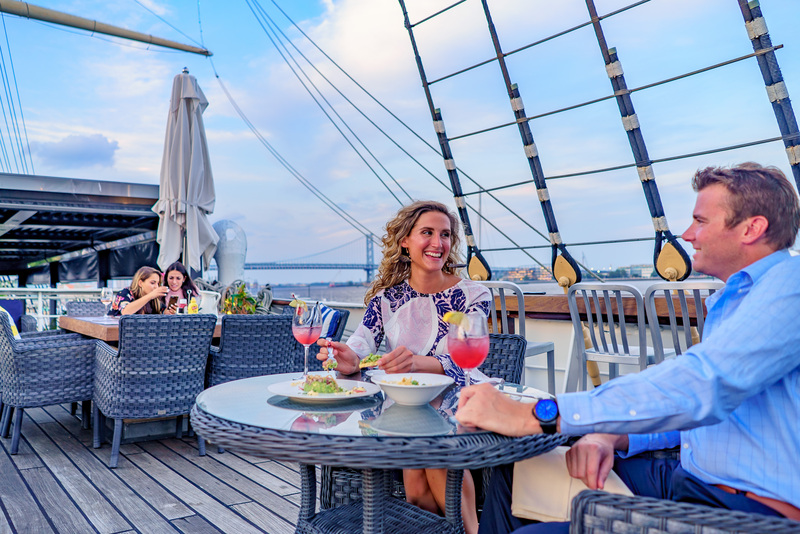 While this pristine, historic ship is the world’s largest and oldest square-rigged ship still afloat, it’s also a fine-dining restaurant with beautiful water and city views…and you may have caught it in a few movies, particularly Rocky and The Godfather Part II. A perfect warm-weather experience, Moshulu provides award-winning, AAA 4-Diamond dining on its top deck. The menu, of course, offers plenty of delectable seafood, but additional land-faring entrees for those who prefer their surf and turf with more turf than surf. This is a landmark in Philadelphia, not just for visitors, but for the locals as well. After you finish your meal or drinks, the ship is in the perfect location for a riverside stroll. Vernick Food & Drink boasts the name of its fascinating founder, Greg Vernick, winner of Best Chef: Mid-Atlantic by the James Beard Foundation as recently as last year. He’s the first chef in Philadelphia to win the award since 2011. The restaurant itself has received high praise from a multitude of reputable industry publications and has even been called the best restaurant in the entire city. So, what can you expect? The menu is simple, yet refined, with ingenious American-style menu items such as the warm parmesan custard with caramelized baby artichokes, or the venison au poivre with squash confit and pumpkin seed mole. Even the sounds-simple organic Amish chicken is a step above your average fine-dining chicken experience. Plus, a portion of the menu is dedicated entirely to topped toast options. What happens when two James Beard Award-winning chefs decide to embark on a new culinary endeavor, particularly when that endeavor includes one of America’s simplest, most readily available breakfast foods, rather than any sort of fine dining? Such is how Federal Donuts was born and now the brand has exploded into a cult favorite, garnering attention both nationally and at home, with Philadelphians lining up at Phillies games for a taste of the best varieties or rushing to one of the handful of city locations to grab a box before they sell out each day. 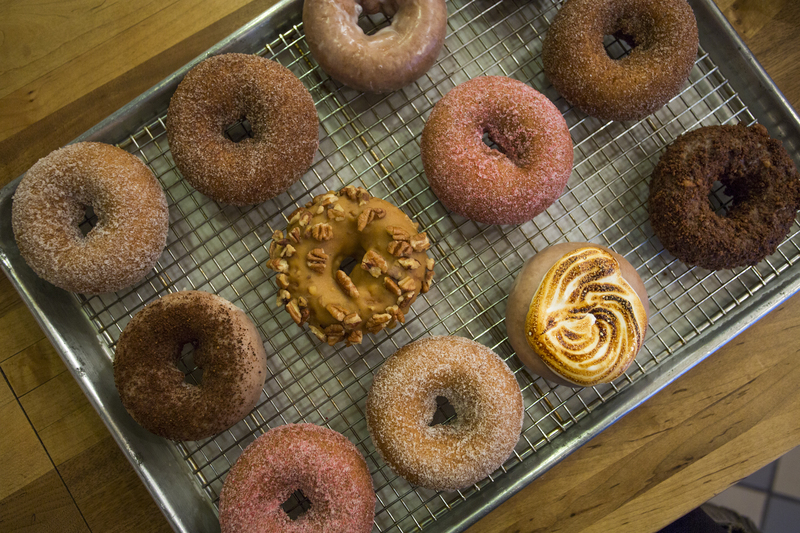 The hot, fresh donuts that you can always find available include the cinnamon brown sugar and strawberry lavender varieties, which are just as good as the “fancy” options. Donuts are the name of the game here, so the only other thing you’ll find on the menu is chicken. The Korean-style fried chicken can be purchased on its own, but it’s also fantastic slapped on a bun with American cheese, or served alongside a honey donut. Oh, and if you happen to be in Philadelphia on your wedding day, you can order an eight-dozen donut tiered cake for your reception. Philadelphians are quick to embrace new culinary trends, but they also love and adore their culinary heritage. So much of this culinary heritage is founded on the city’s large immigrant population, who brought the food of their homelands to the Philly streets over centuries. 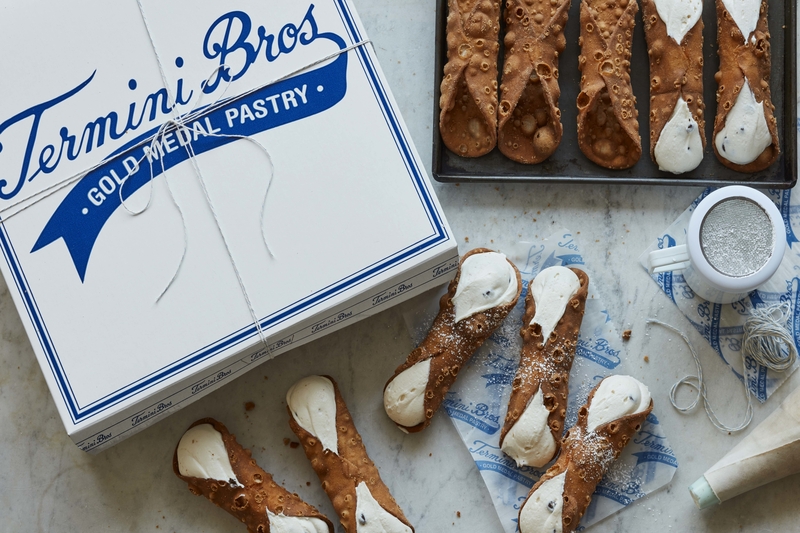 When the Termini family emigrated to Philadelphia in 1920, they had a dream of building a bakery. In 1921, they realized that dream and they never stopped growing. First becoming famous for their wedding cakes, they continued to expand. They shipped fruit cakes to the frontline in World War II. They grew to four locations, one inside Philadelphia’s famous Reading Terminal Market (a culinary experience in of itself). Now, they’re recognized not only for their amazing food, but also their standout history. While the menu is delectable for many, many reasons, the cannoli is something else entirely. Plus, they’re still making their wedding cakes, now a tradition for many local families. 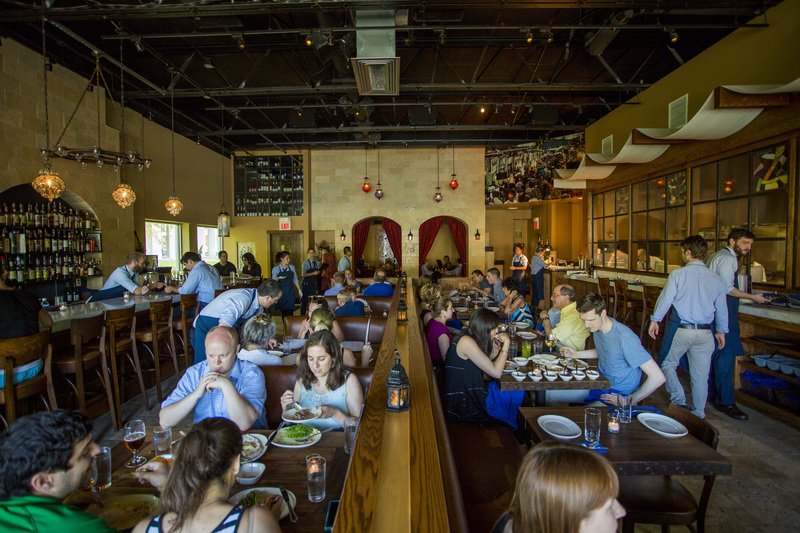 Serving up James Beard Award-winner creations, Zahav is all things modern Israeli, from the mouthwatering cuisine to the Jerusalem-inspired decor. The relaxed environment promotes cordial socialization, and swapping and sharing bites is hardly frowned upon. The salatim, or assortment of daily vegetable salads, alongside the amazing tehina hummus served with fresh laffa is a fantastic start to any meal. Small plates of fried cauliflower, caramelized fennel and sweet potatoes with feta are hard to pass up, but try to save a little of your appetite for the lamb shoulder, easily the pièce de résistance. However, the chefs are hardly stingy with their secrets, so if you find yourself visiting Philadelphia and falling in love with Zahav’s exotic flavors, you can at least attempt to recreate them at home, with the cookbook carrying the same name.